In this edition of the Intangible Cultural Heritage Update for Newfoundland and Labrador: we outline our plans for the Petty Harbour Memory store, a public recording booth which will be set up to archive memories of growing up in Petty Harbour-Maddox Cove; the Heritage Foundation of Newfoundland and Labrador announces a $5000 grant for research on the historic fishery in the province; heritage intern Terra Barrett reports on community celebrations in Petty Harbour; Lisa Wilson gives an update on a recent tombstone rubbing workshop held in Cupids; Heather Igloliorte gives insight into two projects around mobilizing Inuit cultural heritage in Labrador; you all get an invite to the unveiling of the commemorative plaque for the Cable Avenue Registered Heritage District in Bay Roberts; and a reminder about our upcoming four-day "Fishing for Folklore" workshop in Petty Harbour, this September. 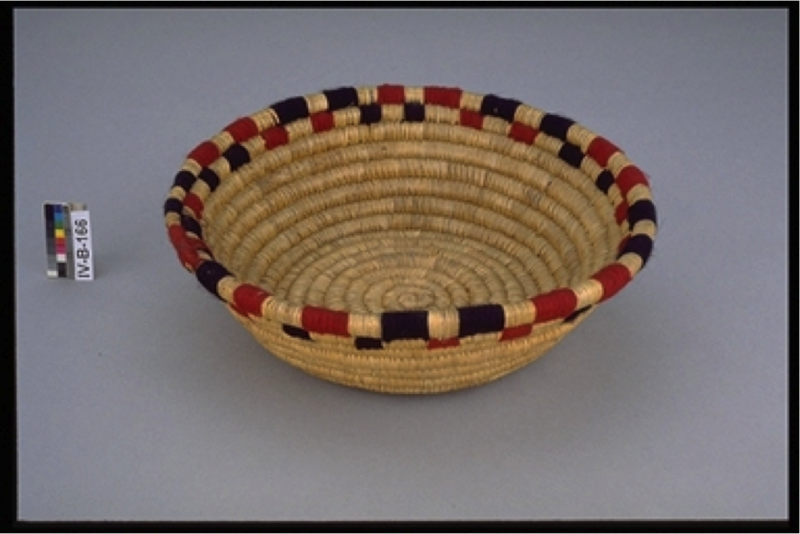 photo: Grass basket, base 11.3 cm in diameter. Grass, red and black thread. Collected in Aillik Bay, near Tornavik, south of Hopedale. Received from F.G. Speck, July 4th, 1914. Collection of the Canadian Museum for Civilization.